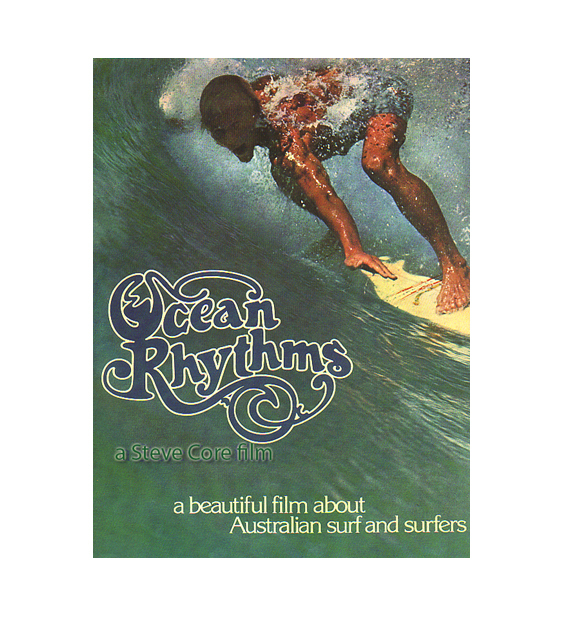 Steve Core made two 16mm films in the early 70’s, In Natural Flow and Ocean Rhythms both have been recently released on DVD. 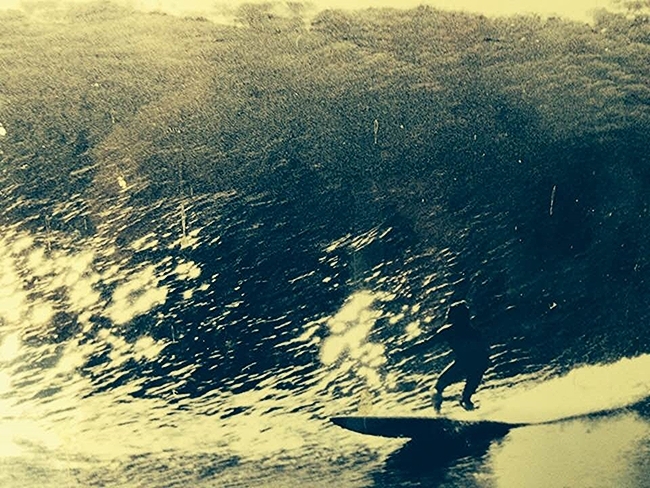 Steve Cores long lost 70’s 16mm surf film has been rediscovered and will be soon available to buy. 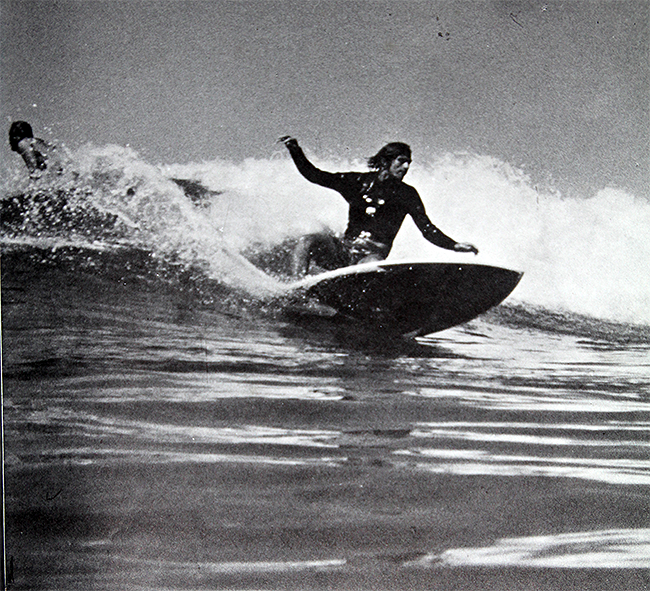 Steve Core was heavily involved in many aspects of the surfing industry, from surfboard manufacturing, Surf shop owner, movie maker, surf photograher and Surf Mag owner. He even found time to get amongst the waves himself this shot taken at Garie by Peter Simons. During the early half of the 70’s local surf photographer Steve Core got his hands on a 16mm camera and produced two surfing movies. 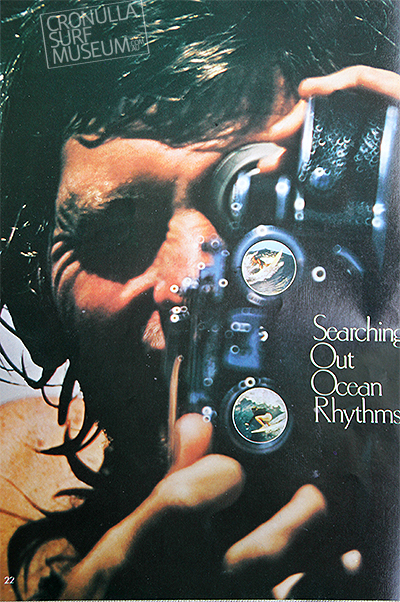 First was In Natural Flow ’72 followed by Ocean Rythms ’75. This pic below captured Steve in action at Burleigh Heads focusing his large water housing rig on surfer Butch Cooney photo by Martin Tullemans. 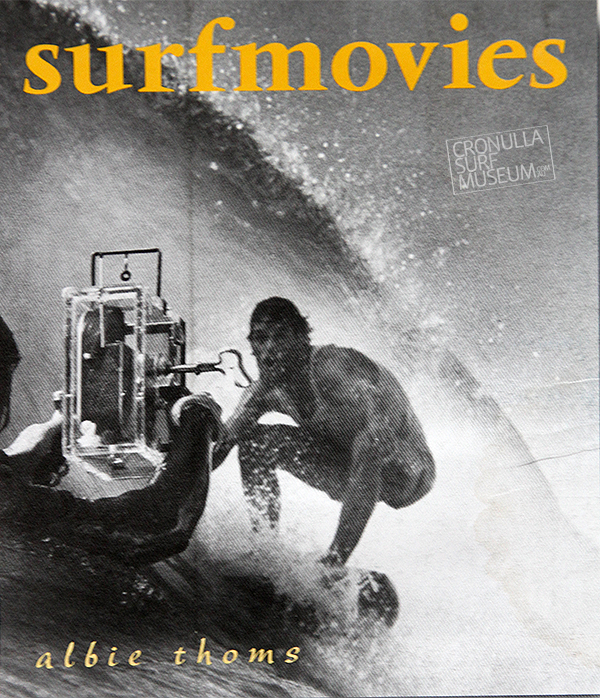 Steve followed Jack Edens lead in putting Cronulla surfers in the media and public eye through his 16mm movies, surf photos and mag throughout the 70’s. He owned and operated the Reach The Beach store in thee 80;s as well. 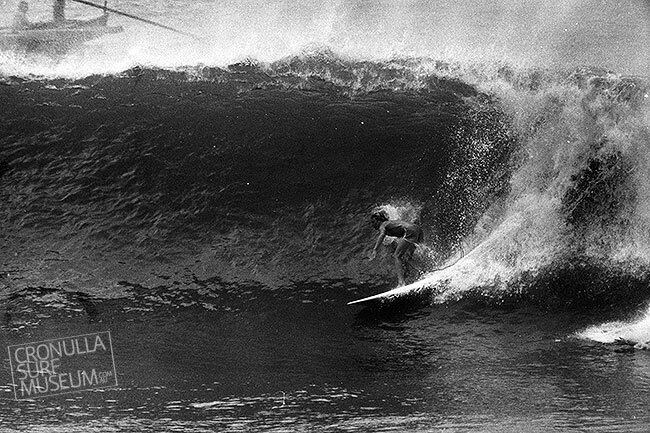 In the 70’s Cronulla surfers owed a lot of thanks to Steve Core who through his photography, Surf magazine and movies gave local riders like the photo he took of Gary Hughes at The Point below a kick start to their surfing careers.